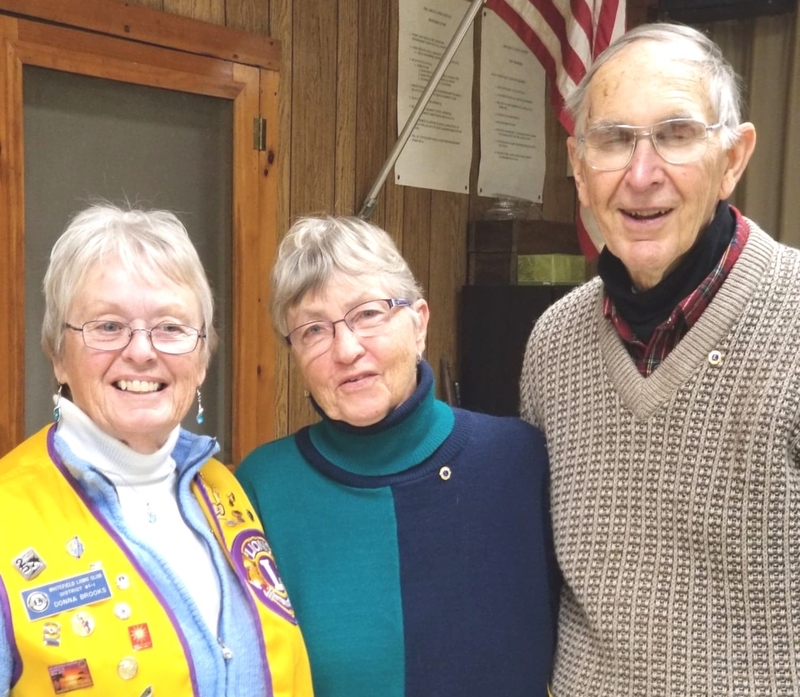 Two new members were inducted into the Whitefield Lions club at their regular meeting January 10. David and Julie Rand, both of Jefferson, are sponsored by First Vice President Lion Donna Brooks. Past President Lion Pam Moody performed the induction ceremony at the Whitefield Lions clubhouse, in Coopers Mills. To learn more about the Whitefield Lions club or receive information about becoming a member, please visit http://www.whitefieldlionsclub.com/ or contact the president of Whitefield Lions club, Lion Kim Haskell at 446-2545. 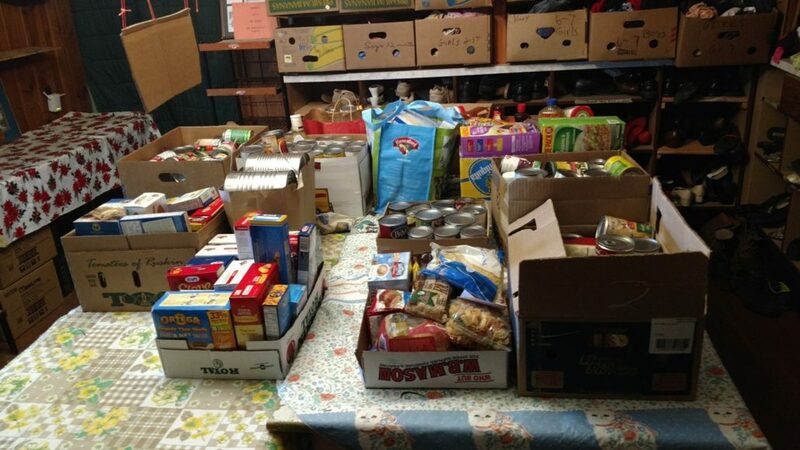 On November 14 the Jefferson Area Community Food Pantry supplied food to 56 families, representing 125 family members. The largest attendance to date. In addition to fresh produce from Twin Villages Food Bank Farm and Good Shepherd Food Bank, non perishables, fresh eggs, bread, pumpkin pies, turkeys, plus additional assorted meats were available. Generous donations were received from several churches and community citizens and are greatly appreciated during this holiday season. If you would like to donate food, please call the number below. Monetary donations can be sent by check and made payable to St Giles Church, PO Box 34, Jefferson, ME 04348, with “JACFB” written in the memo area. 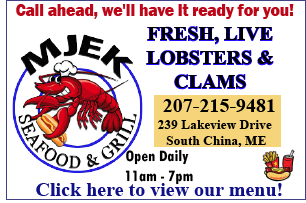 The December opening dates are two weeks in a row this year. Wednesday, December 12 and Wednesday December 19, 4 – 5:30 p.m., at St Giles Church, 72 Gardiner Road (Rt 126), Jefferson. 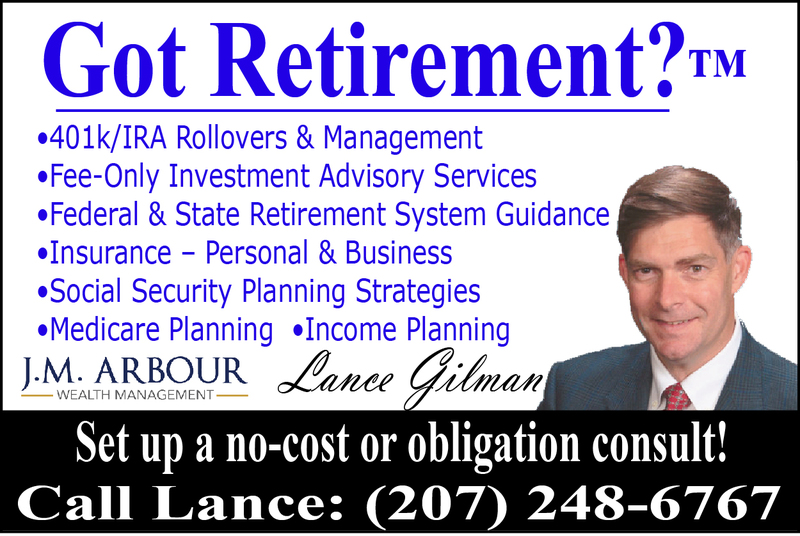 For more information, call 315-1134. 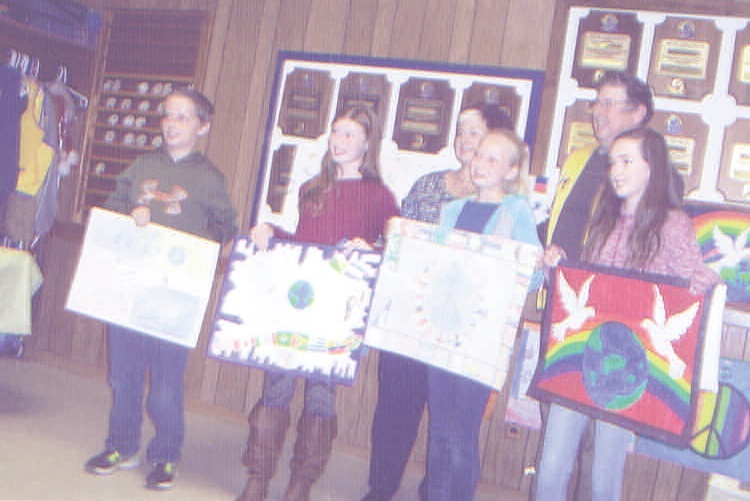 Winners of the Peace Poster Contest were honored with their art teachers by the Whitefield Lions Club on October 25. For over 30 years Lions clubs around the world have sponsored the Lions International Peace Poster Contest. Whitefield: Art teacher Amanda Martin. 1st place – Lineo Kelley; 2nd place – Olivia Brann; 3rd place – Kat Thorton. Jefferson: Art teacher Rachel Richmond. 1st plac – Abby St Cyr; 2nd place – Eliza Wood-Orff; 3rd place – Lillian Brooks. Chelsea: Art teacher Sandy Dunn. 1st place – Alyvia Colfer; 2nd place – Jac Crochere; 3rd plac e- Brooke Michaud. Windsor: Art teacher Genevieve Keller. 1st place – Nathan Hall; 2nd place – Mackenzie Kutniewski; 3rd place – Eva Carlezon. On behalf of the pantry board, the volunteers and all those who receive we thank the many residents who participated in the US Postal Service food drive last Saturday. More than 600 pounds of food was collected by our wonderful postal folks. Many thanks to them. Donations surpassed last year by over 200 pounds. If you or anyone you know are in need of help providing food for you or your family we are open for distribution the second and fourth Wednesdays of the month, 4 – 5:30 p.m., at St Giles Episcopal Church, 72 Gardiner Road, Jefferson. 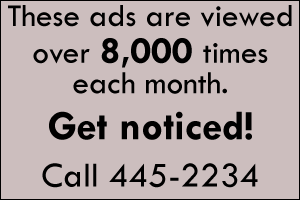 For more information, call 315-1134. It was a dark and stormy night, cold and rainy. On November 22, the Jefferson Area Community Food Pantry passed out turkeys, hams, assorted other meats, fresh and canned veggies and fruit to feed over 100 of our friends and neighbors. Good Shepherd Food Bank and the DRA farm provided dry and canned goods and fresh produce. Lots of folks donated boxes of thanksgiving fixings, turkeys and money for the pantry to purchase more turkeys. One special giver donated 35 pies to insure that every family had a yummy desert. The Jefferson Food Pantry would not be possible without cash donations that we use to purchase food from the Good Shepherd Food Bank. If you would like to participate to help those in need with a monetary gift, please send donations to St. Giles Church, PO Box 34, Jefferson, ME 04348, with JACFB written in the memo area of your check. They distribute food on the second and fourth Wednesdays of the month at St. Giles Church, 72 Gardiner Rd. ( Rt 126), from 4 -5:30 p.m. For more information, please call 315-1134. Volunteers are needed to help maintain the gardens on the Jefferson Town Green around the early 1900’s bandstand and the Veterans Memorial constructed for Jefferson’s bicentennial in 2007. Anyone with a little time on a one time, or regular basis, to weed, water and do any of the chores required to keep the gardens blooming, healthy and beautiful is asked to call 549-5258 for more information. To the person who hit the dog and didn’t stop on Rt 32, in Jefferson, on Sunday morning (12/11) at 7 a.m…I will call you a coward because the paper will not let me print what I would really like to call you and what I am sure other pet lovers and fur baby parents reading this will be thinking. This fur baby you hit, a Rottweiler, a puppy, “Baby” was new to the family having just filled the void of a recently passed fur baby from cancer “Bota.” She was a lap dog, “Roy’s” playmate, loved to go camping, rides, and cruise on the golf cart. You left her people, kids, grandkids, devastated at this holiday season. No, she shouldn’t have been in the road, but you didn’t need to be so heartless as to not stop and offer your condolences, it wasn’t a squirrel, turkey or a cat for that matter. Someone reading might say maybe you didn’t know you hit something, well the pieces of your car left in the road beg to differ. I hope Santa leaves you COAL for Christmas. PS: if you want your car parts, stop and get them. Trash is Wednesday. The Whitefield Lions Club, of Coopers Mills, sponsored area schools from Chelsea, Jefferson, Whitefield and Windsor in the 2016 Lions International Peace Poster contest with a theme of “A Celebration of Peace.” Winners include, front row, from left to right, Caleb Cyr, Windsor; Hannah Jackson, Whitefield; Abby St. Cyr, Jefferson; and Meagan Michaud, Chelsea. Back, Whitefield Lions President Cindy Lincoln, Barry Tibbetts, chairman of the Whitefield Lions poster contest. The following students have been named to the Spring 2016 honors list at Husson. Sebastian Atkins-Taylor, of Augusta, is a senior who is currently enrolled in Husson’s bachelor of science in mass communications with a concentration in Journalism program. Lelia Belanger, of Augusta, is a sophomore who is currently enrolled in Husson’s bachelor of science in biology program. Michayla Dostie, of Augusta, is a sophomore who is currently enrolled in Husson’s bachelor of science in nursing program. Mary-Anne MacArthur, of Canaan, is a senior who is currently enrolled in Husson’s associate of science in paralegal studies and a bachelor of science in psychology program. Owen Freeman, of Freedom, is a junior who is currently enrolled in Husson’s bachelor of science in communications technology with a concentration in video production program. Nicholas Maney, of Jefferson, is a sophomore who is currently enrolled in Husson’s bachelor of science in communications technology with a concentration in video production program. Christine Boucher, of Oakland, is a sophomore who is currently enrolled in Husson’s bachelor of science in kinesiology-human movement science and doctor of physical therapy program. Mikhaila Necevski, of Oakland, is a freshman who is currently enrolled in Husson’s bachelor of science in health sciences program. Megan Mahoney, of Palermo, is a sophomore who is currently enrolled in Husson’s bachelor of science in elementary education program. Alyssa Doucette, of Skowhegan, is a sophomore who is currently enrolled in Husson’s bachelor of science in criminal justice and bachelor of science in psychology with a mental health rehabilitation technician/community (MHRT/C) certification program. Anne-Marie Provencal, of Skowhegan, is a junior who is currently enrolled in Husson’s bachelor of science in healthcare studies and master of science in occupational therapy program. Anthony Toneatti, of Solon, is a junior who is currently enrolled in Husson’s bachelor of science in communications technology with a concentration in live sound technology program. Samuel Stevens, of South China, is a sophomore who is currently enrolled in Husson’s bachelor of science in business administration program. Samantha McLaughlin, of Starks, is a senior who is currently enrolled in Husson’s bachelor of science in nursing program. Briana Oliver, of Starks, is a sophomore who is currently enrolled in Husson’s bachelor of science in forensic science program. Alyssa Willette, of Unity, is a junior who is currently enrolled in Husson’s bachelor of science in nursing program. Caleb Cummings, of Windsor, is a sophomore who is currently enrolled in Husson’s bachelor of science in health sciences program. Christine Parrilli, of Winslow, is a senior who is currently enrolled in Husson’s bachelor of science in nursing program. The following area students have been named to the Spring 2016 presidents list at Husson University, in Bangor. Lyndsay Weese, of Athens, is a senior who is enrolled in Husson’s Bachelor of Science in Nursing program. Shayne Brown, of Augusta, is a junior who is enrolled in Husson’s Bachelor of Science in Mass Communications with a concentration in Marketing Communications program. Sophia Ramirez, of Augusta, ME is a freshman who is enrolled in Husson’s Bachelor of Science in Criminal Justice program. Tabitha Willman, of Augusta, is a senior who is enrolled in Husson’s Bachelor of Science in Healthcare Studies and Master of Business Administration (MBA) in Health Care Management program. Samuel Jandreau, of China, is a senior who is enrolled in Husson’s Bachelor of Science in Kinesiology – Human Movement Science and Doctor of Physical Therapy program. Zoe Mather, of China, is a sophomore who is enrolled in Husson’s Bachelor of Science in Kinesiology – Human Movement Science and Doctor of Physical Therapy program. Tyler Rollins, of China, is a sophomore who is enrolled in Husson’s Undeclared program. Courtney Smart, of Cornville, is a sophomore who is enrolled in Husson’s Bachelor of Science in Health Sciences program. Leah LaBree, of East Vassalboro, is a senior who is enrolled in Husson’s Bachelor of Science in Mass Communications with a concentration in Journalism program. Spencer Folsom, of Fairfield, is a freshman who is enrolled in Husson’s Bachelor of Science in Health Sciences program. Tennyson Martin, of Fairfield, is a sophomore who is enrolled in Husson’s Bachelor of Science in Health Sciences program. Kyleigh Plourde, of Jefferson, is a sophomore who is enrolled in Husson’s Bachelor of Science in Criminal Justice and Bachelor of Science in Psychology with a Mental Health Rehabilitation Technician/Community (MHRT/C) Certification program. Alexis Prescott, of Liberty, is a freshman who is enrolled in Husson’s Bachelor of Science in Accounting and Master of Business Administration (MBA) program. Makaela Michonski, of Norridgewock, is a senior who is enrolled in Husson’s Bachelor of Science in Kinesiology – Human Movement Science and Doctor of Physical Therapy program. Amanda Saucier, of Norridgewock, is a senior who is enrolled in Husson’s Bachelor of Science in Kinesiology – Human Movement Science and Doctor of Physical Therapy program. Darian Hughes, of Oakland, is a junior who is enrolled in Husson’s Bachelor of Science in Psychology program. Raina Rauch, of Palermo, is a junior who is enrolled in Husson’s Bachelor of Science in Healthcare Studies and Master of Science in Occupational Therapy program. Kaitlyn Grover, of Skowhegan, is a senior who is enrolled in Husson’s Bachelor of Science in Nursing program. Cailee Manzer, of Skowhegan, is a freshman who is enrolled in Husson’s Bachelor of Science in Healthcare Studies and Master of Science in Occupational Therapy program. Ali York, of Skowhegan, is a junior who is enrolled in Husson’s Bachelor of Science in Business Administration with a concentration in Financial Management program. Christina Belanger, of South China, is a sophomore who is enrolled in Husson’s Bachelor of Science in Nursing program. Meghan Farrell, of Vassalboro, is a junior who is enrolled in Husson’s Bachelor of Science in Healthcare Studies program. Destiny Silcott, of Windsor, is a senior who is enrolled in Husson’s Bachelor of Science in Kinesiology – Human Movement Science and Doctor of Physical Therapy program. Logan Vashon, of Winslow, is a sophomore who is enrolled in Husson’s Bachelor of Science in Kinesiology – Human Movement Science and Doctor of Physical Therapy program.